Why everything you’ve learned about negotiating is wrong, and how to do it right, by an acclaimed teacher and practitioner of the art. For the last twenty years, David Sally has taught negotiation at leading business schools and to executives at top companies worldwide, and now he wants to share his secrets and the science behind them. Negotiation, he argues, is best thought of as a strategic game in which you should be exactly one step ahead of your opponent. Drawing parallels to everything from the NBA to the corner con game and rooted in Sally’s own breakthrough research, One Step Ahead introduces a revolutionary way of approaching negotiation. Readers will learn: · When and when not to negotiate · How to be an effective performer during your negotiation · How to lead the negotiation · Which of your personality traits will help you in a negotiation and how to cultivate them · How to be tough and fair · How gender affects the way we negotiate and how to overcome it Through the stories of quirky and often misunderstood historical characters—all high-level social operatives—Sally delivers negotiation tactics that upend conventional wisdom and offers a new and nuanced approach that applies in any situation. 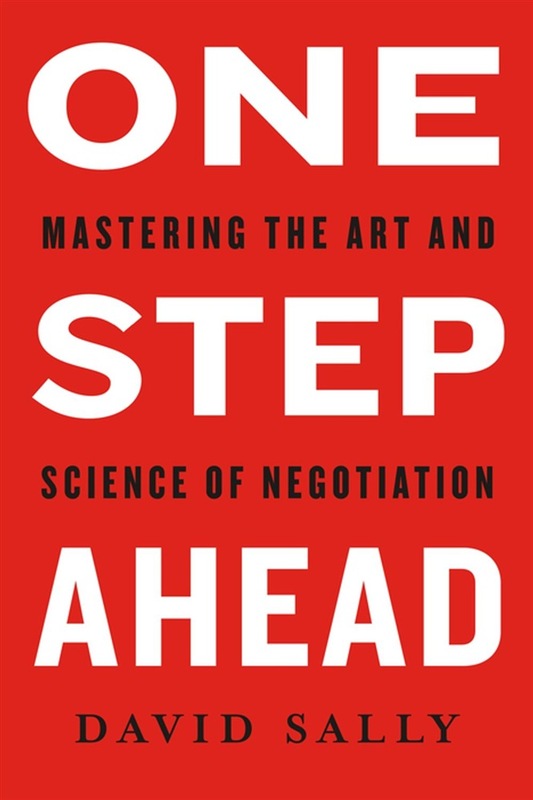 We’ll see how thinkers from Machiavelli to Gandhi made invaluable contributions to the science of negotiation and how master negotiators, such as Chicago billionaire Sam Zell and wartime hostage negotiator Giadomenico Picco, honed their craft. Acquista One Step Ahead in Epub: dopo aver letto l’ebook One Step Ahead di David Sally ti invitiamo a lasciarci una Recensione qui sotto: sarà utile agli utenti che non abbiano ancora letto questo libro e che vogliano avere delle opinioni altrui. L’opinione su di un libro è molto soggettiva e per questo leggere eventuali recensioni negative non ci dovrà frenare dall’acquisto, anzi dovrà spingerci ad acquistare il libro in fretta per poter dire la nostra ed eventualmente smentire quanto commentato da altri, contribuendo ad arricchire più possibile i commenti e dare sempre più spunti di confronto al pubblico online.